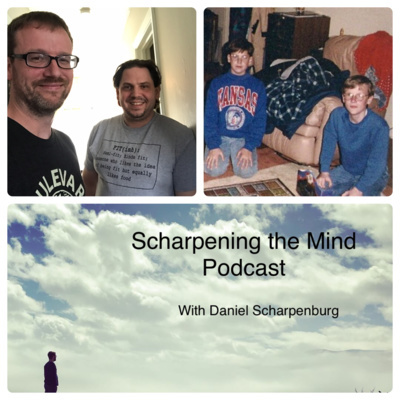 Talks and discussions with Kansas City meditation teacher Daniel Scharpenburg. 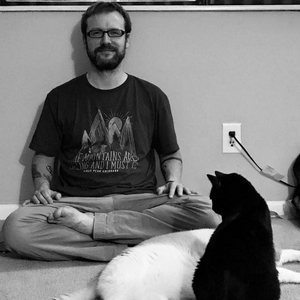 Daniel runs Fountain City Meditation and is a co-owner of the website The Tattooed Buddha. He’s also a teacher in the Zen Buddhist Order of Hsu Yun. This is a talk I gave at Fountain City Meditation. There were 17 in attendance, including one child and one dog. 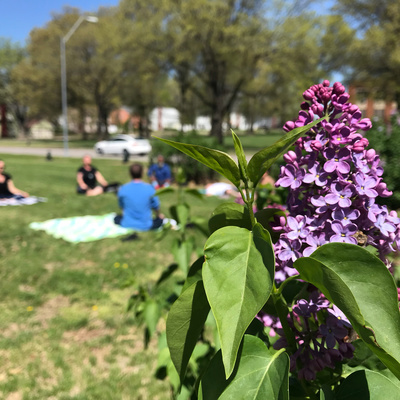 Because it was the first outdoor meditation of the season, I decided to just briefly talk about the basics. Why do we meditate? 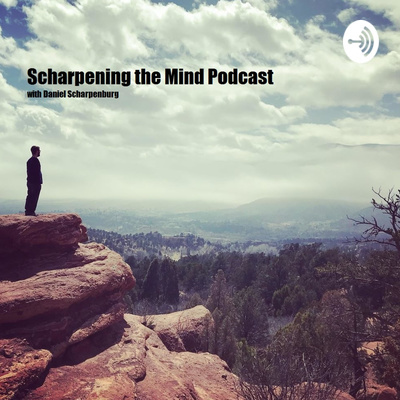 My childhood friend Daniel Symes joined me on the podcast to talk about spiritual communities. Daniel has been my friend since I was 11 years old and he's a member of pagan and freemason communities. We discussed what those communities, and Buddhism, do well and also where they struggle. I talked some, but not much, about my experience at a temple I used to attend called the Rime Center. He talked some about his experience with the pagan communities: Camp Gaea and Gaia Community (and I marveled at the fact that there are two pagan communities in Kansas City with essentially the same name). And we also talked about semi-spiritual communities like Freemasonry and Scouts BSA. And we talked about Fountain City Meditation, which I think is a project but may actually be a community. This is a recording of a live talk I gave online in the Tattooed Buddha Community Facebook group. I went over a teaching from Hongzhi in “Cultivating the Empty Field” then I addressed some questions and comments about anger. Daniel and Alicia talk about: Insecurity, Introspection, and Brain Weasels. Part one of a series. Insecurity is something we all struggle with it. In this episode Daniel and Alicia explore Daniel’s insecurity regarding hosting events. How does the way we see things shape our experience? This talk includes a story about a young monk who tried to walk from Korea to China and learned something about the power of our minds. Alicia Marley came to the podcast. We talked a little bit about Buddhism, but mainly we discussed Facebook, having a sense of wonder, and Geocaching. Great Faith, Great Doubt, Great Determination. Trying to practice without all three of these present is like having a table that's missing a leg.